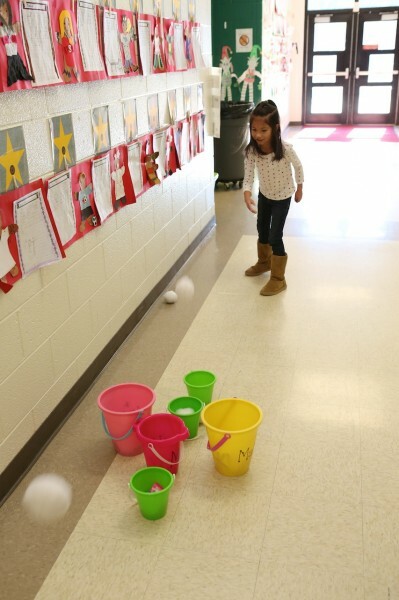 Another game I did with Kaye’s class for the holiday party was this snowball toss game. I found a pack of 8 large felt balls at Michael’s and thought I could do a fun game with it. Instructions on how to play after the jump. 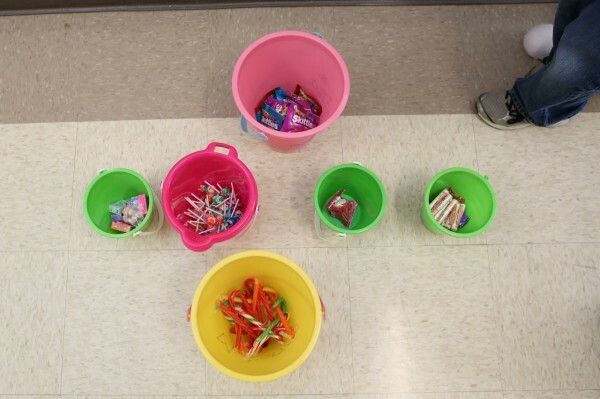 I found some plastic buckets of various sizes and place different types of candy in them. They toss the snowball into the buckets. Which ever bucket the snowball lands in, the child gets to pick a treat from that bucket. Easy, right? As mentioned before, I used large felt balls as snowballs. But you can also use white craft foam balls or other types of white balls. » Tell me… What kind of winter games do your children like to play?